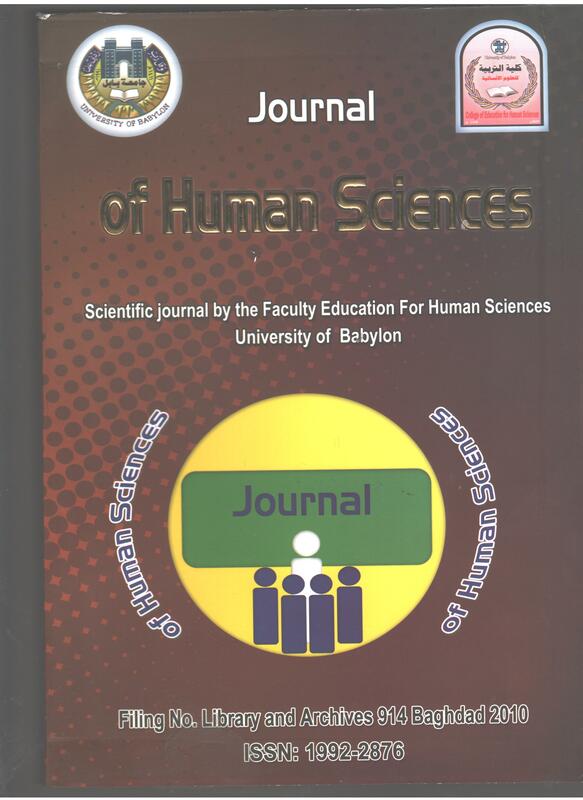 Humanities Journal HJ is a precise scientific journal issued by College of Education for Humanities and started in 2010 to emit the rays of light to different research in both Arabic and English. Before all, it is seasonal published four times a year.the scientific evaluation of all the researches are done at the hand of experts specialized academically and linguistically from inside and abroad. One of the achievements the journal exudes is to issue a version exclusive to the yearly scientific conference into which many researchers, from Iraq and other countries participate. In the aggregate, the journal reaches fruition ,as it receives many notes of appreciation from Iraq and other countries for the meritorious efforts. مجلة بابل للعلوم الانسانية هي مجلة علمية محكمة تأسست في عام 2010 وتعنى بنشر البحوث في مجال العلوم الانسانية وهي مجلة فصلية اربعة اعداد في السنة.